Faculty members and students interested in common career activities are grouped into academic colleges based on differing approaches to clinical reasoning and diagnostic approaches. 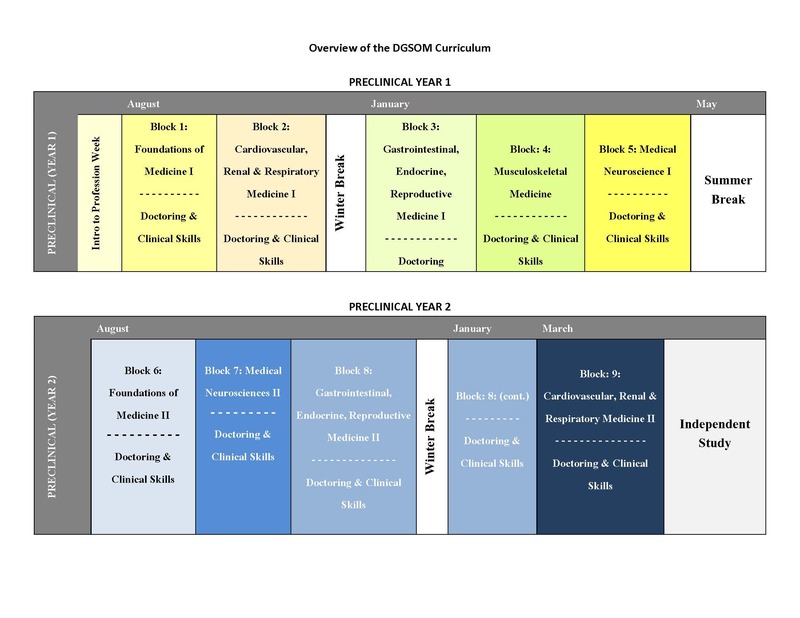 The pre-clinical block-based curriculum is designed to increase integration of normal human biology with disease processes and clinical skills from the first week of medical school onward. Basic science is taught in the context of its application with planned reiteration. Instruction is coordinated throughout sequentially taught blocks. The clinical curriculum begins with a two-week course, Clinical Foundations, focused on the basics of clinical care, including a review of the physical examination, BCLS, basic radiology, write-ups and presentations, with an emphasis on professionalism and ethical standards. 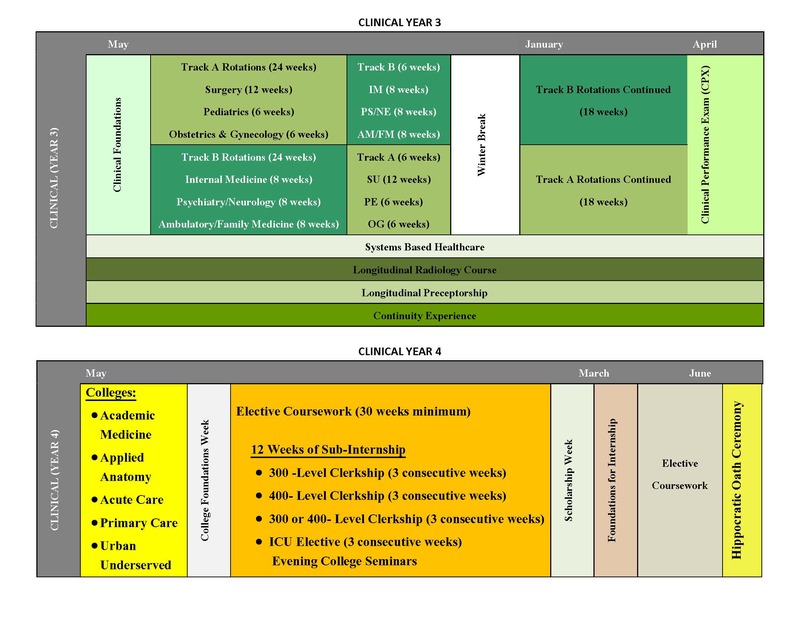 Clinical Foundations is followed by 48 weeks of core clerkships, each of which includes an orientation period to prepare students with the clinical skills needed in the specific rotation. Medical students join one of five academic colleges during the latter part of their third year based on career interest or enrollment in special programs. Students work closely with their College faculty members in the third and fourth years. Grading is Pass/Fail for the pre-clinical years and a four-tier system (Honors/High Pass/Pass/Fail) in the clinical years. Students must maintain a satisfactory level of performance in DGSOM coursework. Students must take and pass USMLE Step 1, USMLE Step 2 Clinical Knowledge (CK) and USMLE Step 2 Clinical Skills (CS). Students must successfully complete the designated four-year program of medical education. DGSOM does not offer a formal extended program. Recognizing that some students may need additional time, students may take no longer than six years to complete the program. Approved Medical and Academic Leaves of Absence are not counted towards the six-year limit. Upon successful completion of the curriculum of DGSOM, the student is recommended to the FEC for the degree of Doctor of Medicine. The final approval for graduation is made by the FEC and the Vice Dean for Education of the David Geffen School of Medicine at UCLA.